You should be using a system separate from your day-to-day computer for testing out hacking tools and downloading hacking software, and a Raspberry Pi brings the price of keeping your hacking endeavors siloed from your personal computer down to between $45 to $50. While the Pi is small, it's powerful, and can be used to follow the majority of the tutorials on Null Byte. 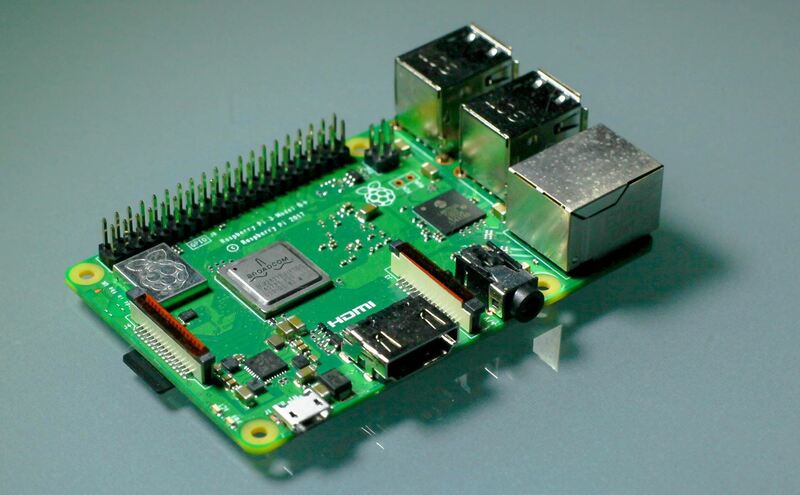 The Raspberry Pi has a lot of fans, which means a lot of support for beginners. Aside from security professionals and hackers using it to run Kali Linux, many developers use the Pi for scientific and industrial applications. While the original Pi was made to introduce schoolchildren to programming, today's Raspberry Pi is capable of some truly amazing things with the right accessories and creativity. 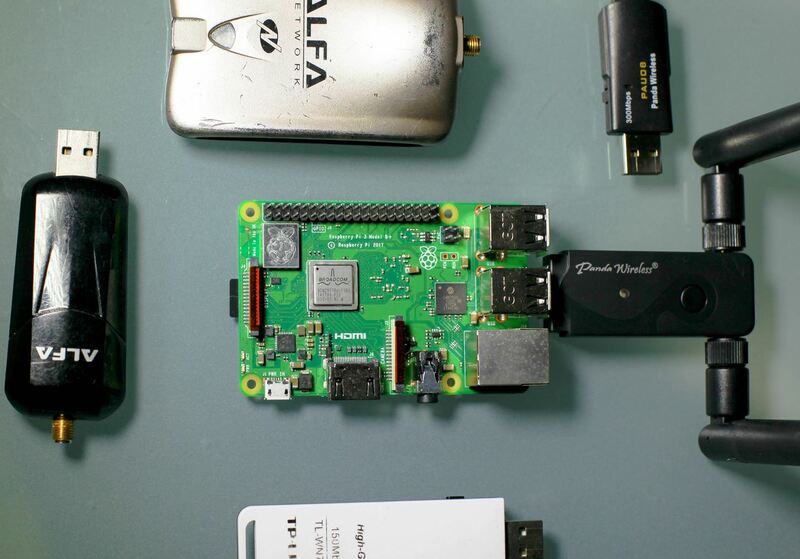 For building a prototype cyberweapon, the Raspberry Pi has been the foundation for proof of concept attacks ranging from drone takeovers to mass Wi-Fi jamming. The Pi's small size and ability to do some powerful things have also seen it featured in shows like Mr. Robot, where it's used to remotely hack into the climate control system of a data center. That being said, it's not a supercomputer, so it's important to set your expectations for this tiny, discreet computer. Things like brute-force cracking won't be practical on the Pi except for the most simple of lists, but most of this work can be outsourced to the cloud in a real-world attack. Learning on the Raspberry Pi means you're not just tied to the Kali Linux operating system. In fact, projects like BerryBoot enable you to have an SD card with many operating systems for the Pi stored on it, allowing you to mount whichever OS you want to work with. This means you can have a Pi act as both a hacking workstation and a deliberately vulnerable server to attack just by rebooting the system and selecting a different disk image. The Raspberry Pi also runs Raspbian, the official OS of the Raspberry Pi. This Debian-based OS can also be used to learn basic Linux and hacking tools, although it requires much more customization before it's suitable for this. 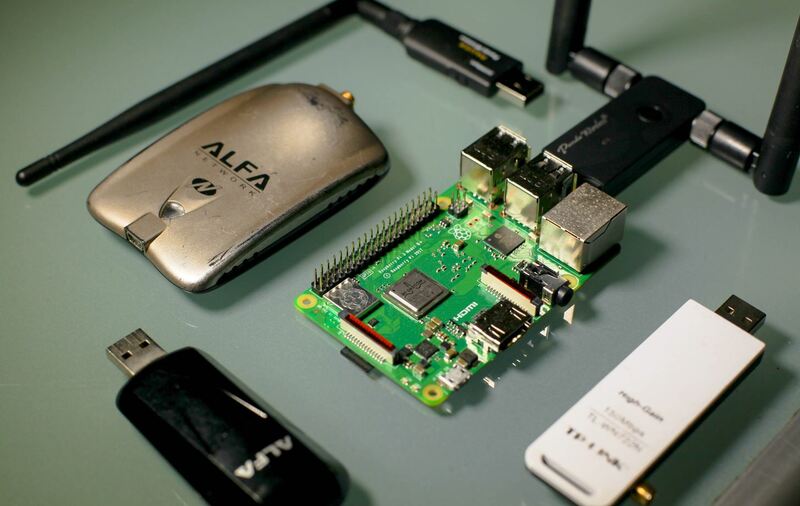 If you're stuck learning about software-defined radio or NFC in Kali Linux on the Pi, sometimes switching to Raspbian can get all the hardware to work together when all else fails. Thanks to the Re4son kernel, the improved specs and updated networking performance can be used with the hacking tools Kali has to offer. The new Pi features a 10/100/1000 Gigabit LAN controller, as well as dramatically improved Wi-Fi speeds, making the Pi ideal for networking applications like running a static web server, NAS, or proxy server. It also makes it an ideal platform for Wi-Fi and network hacking, making the Pi much more versatile in a pentesting kit. In addition to the networking improvements, the Pi 3 Model B+ enjoys a 16.7% processing speed increase from the previous model, running a 1.4 GHz 64-bit quad-core processor. While this performance increase isn't enough to bring the Pi into the realm of most desktop or laptop computers, the increase does make Kali feel more responsive. Like the previous Kali Pi builds, it's easy to get started using your Pi once you've booted Kali for the first time. You can plug your Pi into an available screen via HDMI, or you can connect to your Pi without a screen via SSH over an Ethernet or Wi-Fi connection. 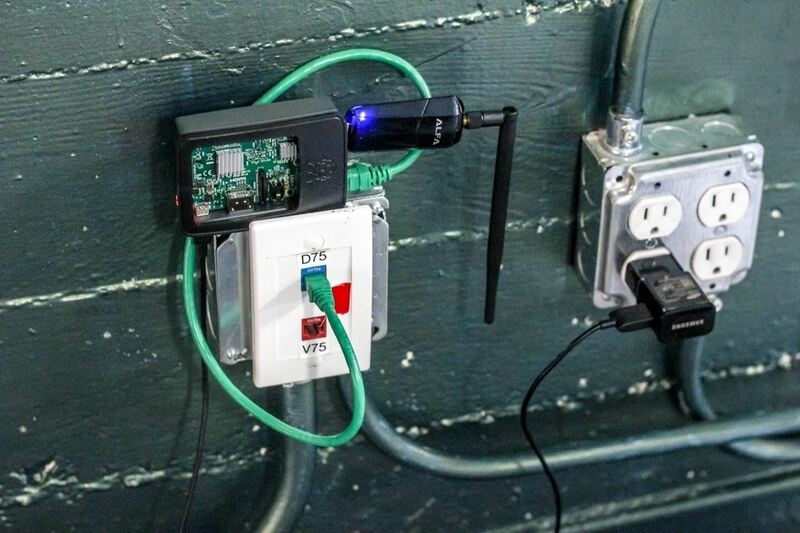 Adding a battery pack can give you access to a Kali Linx system anywhere, allowing you to connect to your Pi from a laptop or smartphone over your home Wi-Fi network or cell phone's data hotspot. While the new Raspberry Pi comes with Bluetooth, Wi-Fi, and other options that can be used with Kali Linux, getting them working isn't always straightforward. We found many beginners had trouble setting up the Bluetooth on the Pi to work with tools in Kali. To fix this, we looked to the Re4son kernel, a special version of Kali Linux optimized for the Raspberry Pi. This version of Kali was working on the Raspberry Pi 3 Model B+ before an official release was availible from Offensive Security (it still is not as of this writing). Another issue the Re4son kernel fixes is the ability to log in upon startup. In order to power up your Pi and log in while on the go, you'll need your Pi to be able to start Kali Linux and join a familliar Wi-Fi network. After doing so, you can log into the Pi via SSH from any device on the same network. This doesn't work, however, if the Pi gets stuck on the login screen that requests your username and password when Kali starts. Our previous solution for this was a little complicated and some readers had a hard time following the steps, so I'm pleased that in this version, our Pi image comes with a setup scrip that takes care of enabling this for us. To get started with the Raspberry Pi as a hacking platform, you'll need a few key components to get the Pi up and running. Initially, you'll need access to another computer to burn your Kali image to an SD card. Aside from the Pi 3 B+ itself, a good power adapter is necessiary to power the Pi. The Pi takes a microUSB power cord, and the CanaKit beginner kit version of the Pi includes an appropriate adapter. In general, a dedicated 2.4-amp power supply is the best way to go. Next, you'll need an SD card to put the operating system on. There are a lot of available options, but you should opt for faster SD card with 16 GB of space. In particular, we recommend SanDisk Extreme and SanDisk Extreme Plus. You can get away with 8 GB, but things will be tight. To interact with the Pi, you'll need a keyboard and mouse. It's easiest to use a wireless keyboard and mouse combination like the Rii Mini Wireless Keyboard with Mouse Touchpad Remote Control, although we recommend avoiding the Bluetooth ones at all cost. They do not work well with Kali and take forever to configure. To get started with Wi-Fi hacking, you'll need a Kali-compatible wireless network adapter. After testing many, we were pleased with the performance of Panda Wireless network adapters, in particular, because of their small size and 2.4/5 GHz capabilities. For discreet Wi-Fi hacking, we recommend the PAU05 for 2.4 GHz or the PAU07 for 2.5 and 5 GHz. If you want to connect a directional or high-gain antenna to the adapter, the PAU06 is great for 2.4 GHz hacking, while the PAU09 is a powerful dual-band adapter with two swappable antennas. Finally, we recommend beginners include a Hak5 USB Rubber Ducky running the Twin Duck firmware. The Twin Duck firmware allows us to mount the Rubber Ducky as USB mass storage, which means we can write and encode Ducky Script on our Pi with the Rubber Ducky plugged in. While the Rubber Ducky doesn't ship with the Twin Duck firmware, it can easily be flashed. The SD card is the brain of your Pi, so you'll need to download Kali Linux to load it on the card. Navigate to Re4son's website, where you'll find the Kali Linux download in a compressed file. Make sure to select the version for the Raspberry Pi 3 B+ model. The file we're looking for is the top link. If you use Windows, you can use Win32 Disk Imager to put your image on the card. On a Mac, you can use a tool like ApplePiBaker or Etcher to load your Kali image onto your SD card. 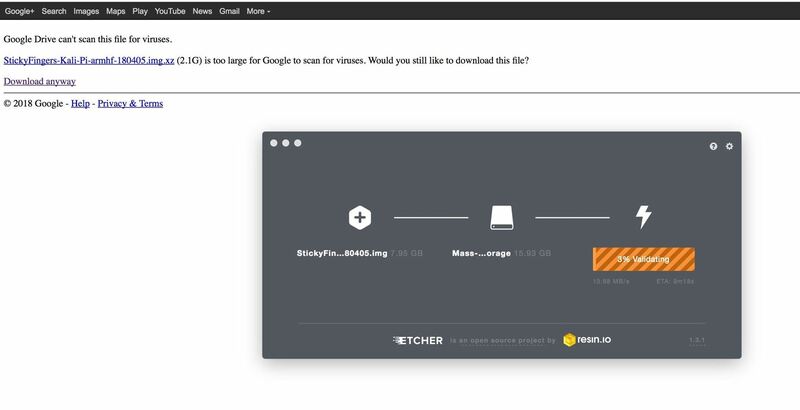 In our video guide above, we went with Etcher since it's the easiest method. If this causes errors for you, you can also write a bootable SD image is via a terminal using the below instructions. This will display a list of all the disks attached to your system. Attach your SD card and run the command again, and note the filesystem name of your SD card (it's the one that wasn't there before). It should look like "/dev/disk2s1," and you should be very careful not to mix this up in the next steps since doing so could overwrite your hard drive. Press enter to begin the process and note that dd does not provide any on-screen information unless there is an error or it finishes. To view the progress during the transfer, you can hit Ctrl-T. Wait for the process to complete. You'll know the process is complete when you see a readout of bytes transferred over the time the process ran. Once Kali Linux loads, you should see a login screen. The default credentials are root for login and toor for the password. 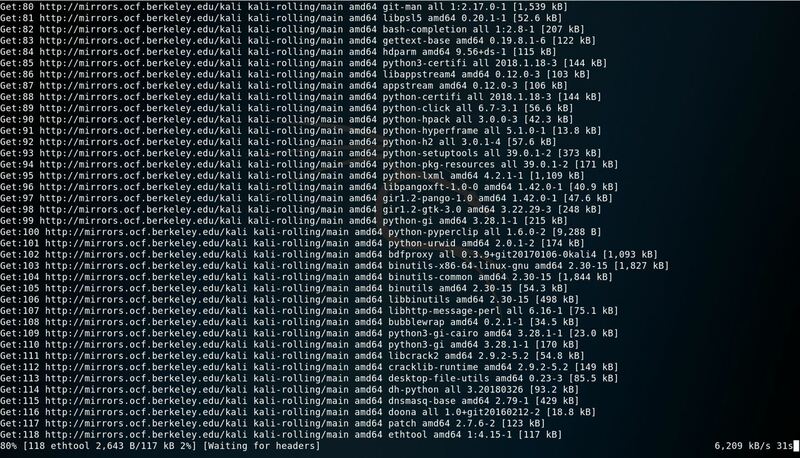 When Kali loads, open a terminal window. First, we'll need to change the default password so we have some level of control over who accesses our device. To do so, type passwd root into the terminal window and enter your new password twice to set it. Next, you'll need to update the system. 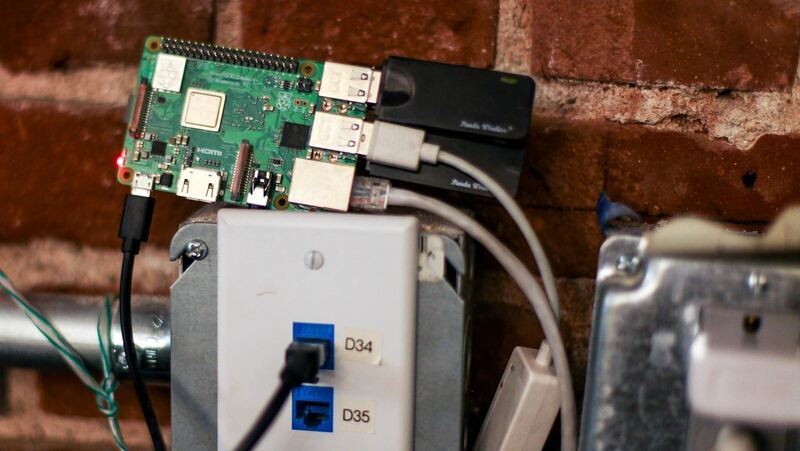 Now is when you'll need to connect your Pi to the internet via an Ethernet cable or by clicking the Wi-Fi icon in the top-right corner and selecting a network with internet access. In a terminal window, type the following apt-get commands, allowing each command to complete before starting the next. This may take some time. You should see some output like below. After all this finishes updating, we'll be ready to start configuring our Raspberry Pi. Using default SSH keys is bad, and can lead to being the victim of a man-in-the-middle attack. To defend against this, we'll need to change our default SSH keys and enable SSH to run at boot. This should create new SSH keys. Next, we'll run a few commands to enable runlevels for SSH and allow us to start the service at boot so we can log in remotely. In the nano window that opens, make sure that "PermitRootLogin" is un-tabbed, as seen in the image below. After this is done, you can hit Ctrl-X to exit the nano window after applying the changes. Next, type sudo service ssh restart to apply these changes. Finally, type update-rc.d -f ssh enable 2 3 4 5 to enable SSH at boot with the settings we've applied. In our last Pi tutorial, enabling autologin to bypass the login prompt was by far the most annoying step. This time, thankfully, the process couldn't be more simple. This step is critical to use the Pi without a keyboard or screen, as SSH or VNC will not start if the Pi gets stuck at the login screen. 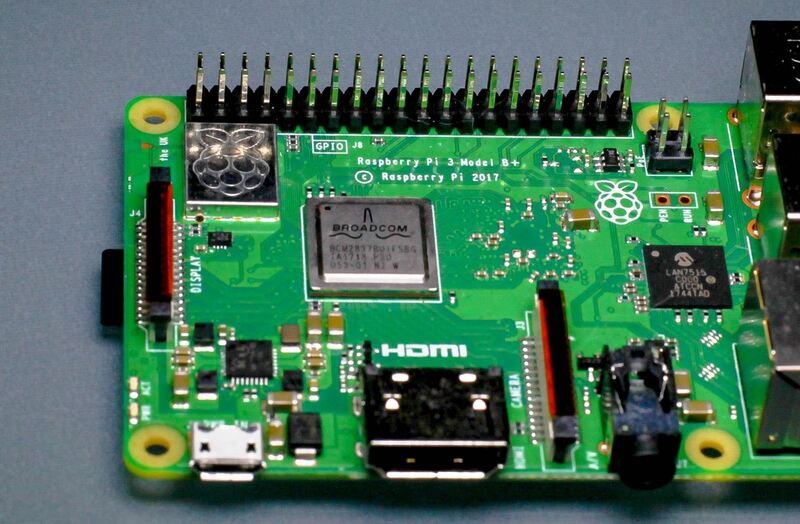 If you've got your Pi up and running, there's a lot you can do to get started! Check out some of our other guides on using the Raspberry Pi for hacking on Null Byte. I hope you enjoyed this guide to setting up a Raspberry Pi 3 Model B+ running Kali Linux! If you have any questions about this tutorial or the Pi as a hacking platform, feel free to leave a comment or reach me on Twitter @KodyKinzie. 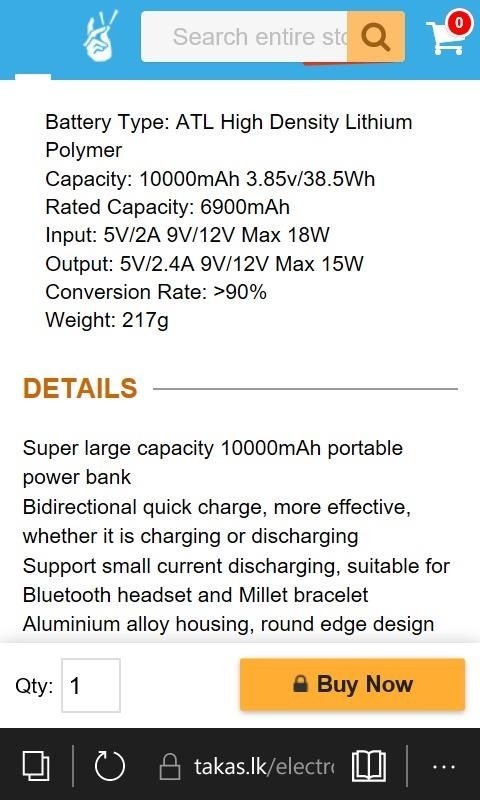 I'm new here.I am looking for a powerbank to power up raspberry pi and I found this(Xiaomi powerbank2 10000 mAh)here's specification.Is thia power bank is suitable to power up raspberry pi.? Thanks for the tutorial anyway. Very useful and helpful! Loved your post. IS the duck really a must-have ? can't we just use a generic USB storage ? you should use gparted to re-partition you sd card before you do apt-get upgrade since this will cause issues because of insufficient space for the updates. select your ext4 partition and click "Resize/Move" button move slider all the way to the right your "free space following (MiB):" should be 0. Then you click the "Resize" button and the "Apply" button. Hey dear Kody and the other admins, I like your tutorials I really do man! Its been just 2 weeks that I started to reading you guys and I dont wanna miss anything further just FYI. but unfortunately I have a huge problem here. I got a Raspberry Pi 3 Model B+ and I burned the Sticky Fingers Kali-Pi image on a micop SD-card just as you recommended. and before that, I burned an official Kali-Pi on it; but after I pass the step One in this post, I cant connect to the VNC servers due Putty on my Windows 10; While before that I got this issue, I Ran a Rasbian OS on VNC whit SSH Complete Succesfully on the same Laptop! I have almost everthing here with me like Powerbank, Ethernet Cable, HDMI Cable, TP-Link Wireless Adapter, SD-Card Adapter and a Laptop. I just dont have an extra keyboard nor Monitor nor an USB-RubberDucky. when I tried to connect SSH due Putty, the Raspberry Pi Fundation IP wont let me login on the ethernet nor just Wi-Fi. same problem whit static IP. it says "Network error: Connection timed out" ! Help Me Solve this please and I'll appreciate so much. Thank you.